The choice to pursue a graduate degree is a big one. The degree program you select will determine how satisfied you are throughout the experience and with the ultimate outcome. Learn how to prepare for an interview for graduate school by treating your interview with the same respect and preparation you would for an, “I really want this job,” interview. Check the school’s website and social media for any current news before your interview. This may help you have a positive conversation right from the beginning and then move to impactful, knowledgeable graduate school interview questions. Asking questions about student support and advising can show that you’re invested not only in your education but the university as well. The questions can provide you with a better understanding of the additional systems the university has in place to guide you through every stage of your education. Will I have a program advisor to work with in helping me shape my education? What types of services does the university or college offer for job placement and career advancement? Can you tell me a little bit about the faculty teaching in my area of study? Can I speak to a current student and/or an alumnus about their experience in the program? Questions regarding the curriculum will provide you with a more thorough understanding of the key differentiating factors of the program and whether the program will help you reach your professional goals. What kind of learning experience can I expect? Are classes primarily lectures, case studies, experiential learning, etc.? What differentiates my learning experience in your MBA/MS program from other similar MBA/MS programs in the area? How much flexibility do I have in shaping my masters or MBA program? If the university you are considering will require relocation or a change in housing, it may be beneficial to see what housing options the university offers for graduate students. In addition, transitioning to a new area may require building a new social circle and student life can be a great opportunity to build social and professional connections. How would you describe the culture of the college? Are there any on-campus housing options for graduate students? What student organizations cater to graduate students in my area of study? Asking about the next steps in the graduate admissions process and financial aid options is a great way to show that you are planning ahead, while providing you with a better understanding of what to look out for as you move along in the admissions process. What additional resources does the university offer for guidance on locating scholarships and grants? Can you share your placement rate for MBA/MS graduates over the last few years? What industries were most popular? Is it possible to sit in on a live class? What are the next steps in the admissions process? As your career goals develop and change, it’s important to know the resources you have available to you. Asking questions regarding career services and placement can give you a better idea of what the university can do to help you with your job search as it evolves. If I need employment assistance, or want to go in a different direction in a few years, what services do you provide to alumni? Can you tell me the role career services plays in my education? What events, lectures and other learning opportunities outside of the classroom are available? Always end on a positive note and thank the admissions committee for their time. When the time comes for you to answer questions, it’s important to know statements and behaviors to avoid during the interview. You interview is only for a designated time; it’s important to remember that everything counts and this is your opportunity to show why you’re the perfect fit for the university. During your interview, admissions advisors will be assessing your communication style and skills. Clear and concise answers to each question can prove that you are able to communicate effectively, especially under pressure. Be sure to avoid embellishing your answers, so that you come across as authentic. For a more detailed guide on how to answer questions take a look at Questions You May Be Asked During a Grad School Admissions Interview. Embellishing or fluffing your resume is a sure way to set you back during your interview and is a clear example of what not to do during an interview. Your resume should highlight your accomplishments and what makes you stand out. It’s a great opportunity to show how your past experience aligns with your current area of study and highlight how your education can further your career. For more ideas on how to spruce up your resume, read Resume 101. Underdressing can be a huge mistake during your interview and send the wrong message to graduate admissions advisors. Show that you take the interview seriously by wearing your best business attire and making sure you are well groomed. Ensuring you’re presenting your best self not only shows that you care about yourself and your appearance, but that you care about the opportunity and want to leave a good impression. Though you may be nervous, zoning out, taking a while to answer questions, and avoiding eye contact can all signal a level of disinterest and greatly impact the effectiveness of your interview. Be sure to stay engaged by staying present, answering questions directly, and maintaining a healthy level of eye contact and engagement with the person conducting your interview. 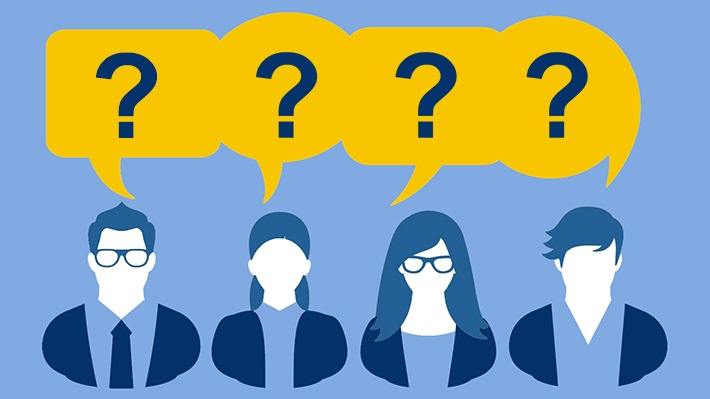 These tips are sure to help you have a successful graduate school interview but if you have any questions or would like to learn more, visit Drexel LeBow Graduate Admissions to find out more about the entire application process. Learn more about our wide-range of graduate-level degrees including MBA and Executive MBA, MS Degree Programs, and Graduate Minors.